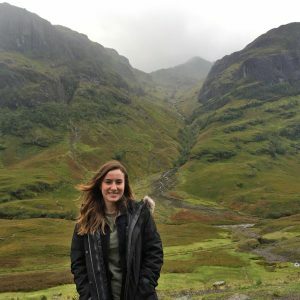 Faye Milford is a returning study abroad students from Strathclyde University in Glasgow, Scotland. She is a senior majoring in Interior Architecture. IPC: Why did you choose to study at that particular institution/city/country? FM: I chose to study at this school because I really liked their department and thought it would be a great learning opportunity. I also really wanted to experience Glasgow, since my grandma was from there and I never was able to meet her in real life. I thought Glasgow itself looked like a fun and lively city, which is not like anywhere I have lived before. FM: Yes, I believe that it is vital for all students to be able to experience new countries and cultures, as well as new learning environments. Studying abroad helps to broaden your mind and a lot of students would really benefit from the new global awareness. I think a study abroad also helps you to become more mature and independent and helps you to realize what you want to do in the future and who you want to be. FM: I really enjoyed being able to hang out with people from my study school. It was really great getting to know their culture and language differences. It was nice being able to share our experiences from different sides of the world with one another.